With the strapline “Ancient strings, old words, new music...”, this disc purports not so much to recreate the music of ancient Mesopotamia, but perhaps more to invoke the spirit of that age. It uses actual Sumerian and Babylonian texts – from Sumerian poetry dating back to 3000BCE, through to Akkadian literature from the 6th century BCE. The poems, hymns, lullabies, songs and proverbs which form the song texts were written in cuneiform on clay tablets and translations come mainly from Oxford University sources. The texts chosen all relate to women and the role of women within Mesopotamian society – songs of love, motherhood, gods, jealousy – and other such subjects that remain pertinent throughout the passage of time. The songs are sung in their original Sumerian or Babylonian, which is interesting. Not all texts are provided, however – the proverbs (which are sung in English) aren’t produced in the texts, and there appears to be an English song at the very start of the disc, setting a poem by Chris Green, for which we have neither words nor an explanation as to why this has been included on a disc of Mesopotamian settings. The lyres used are reproductions of ancient lyres – the “gold lyre”, the “silver lyre” and the “Pharaonic lyre”. There are, pleasingly, notes on these instruments in the booklet, along with inadequate (far too small, and too low resolution) photographs. The booklet notes comment that “the music is contemporary and original, but imbued with tiny glimmers of a style that may well have sounds in common with the music that was originally sung in Mesopotamia”. 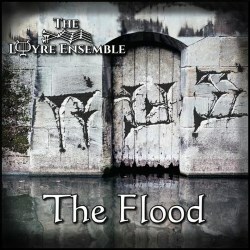 Many of the works are quite atmospheric and interesting, although I did rather dislike the eponymous The Flood – Stef Conner’s singing style is just too “popular” sounding – rather like a drippy new-age popular song. As a general rule the songs are a bit new-agey – an air which is enhanced by “goblet percussion” – but this can also be fairly effective at times, as in the Hymn to Istar. Performances from the artists are fine – nothing spectacularly outstanding, but they are not at all bad, either. The booklet is pretty poorly produced. The setting of the notes is very amateurish, and the photographs are small, badly chosen and of appalling resolution. The notes are brief – a page on the entire project, with no actual notes for the pieces of music themselves. We do, thankfully, get the notes on the instruments, a brief note on the texts, the texts themselves, and artist biographies. The most scholarly we get is in the notes on the instruments; and I was pleased to see that the sources for the texts are listed. Some people would probably love this disc; others loathe it. I find myself somewhere in between – it’s an interesting idea and some of the music is appealing and attractive, but it’s all a little too “fluffy” and lacking in rigour for me – both the concept and the execution thereof.